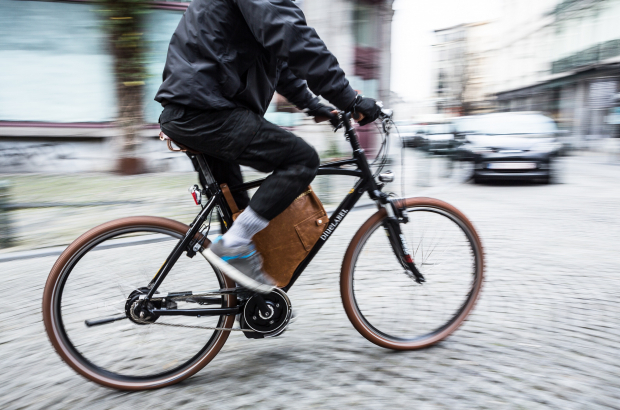 An anonymous Brussels citizen is handing over up to €1 million per initiative that makes Brussels more bike-friendly. The resident is an avid cyclist and wants to encourage companies, organisations, governments or private partners to improve cycling infrastructure. The fund, Bikes in Brussels, is being handled by the King Baudouin Foundation. A project must meet certain requirements, such as that it must “benefit everyone who wants to make use of it, be sustainable and have a long-term positive effect on cycling mobility,” a foundation spokesperson told Bruzz. Examples of projects that could be considered for funding are the creation or repaving of cycle paths, bridges and highways, safe bicycle racks and repair points. Funding will be commensurate with the cost of implementing a project, up to a maximum of €1 million. Applicable projects must be in or around the Brussels-Capital Region. Applications can be made at any time, and projects will be chosen three times a year. The first round of selections will be announced next April. In related news, the regional government is offering subsidies to Brussels municipalities that want to turn empty buildings into bicycle parking. Due to the success of two previous calls for applications, the region has now launched a third call. Forest, Ixelles, Schaerbeek and Brussels-City have all put abandoned buildings to use for covered cycle parking. Certain criteria apply to applications, such as the number of residents in the neighbourhood and accessibility to cycle paths. Secured indoor parking facilities are being developed, meanwhile, for the Bourse and De Brouckère metro stations. Next year, some 35 secure hangars and more than 150 safeguarded spots will open at the Coovi park & ride in Anderlecht. And SNCB is planning bicycle parking areas at both North and South stations.